And this is our hard work! 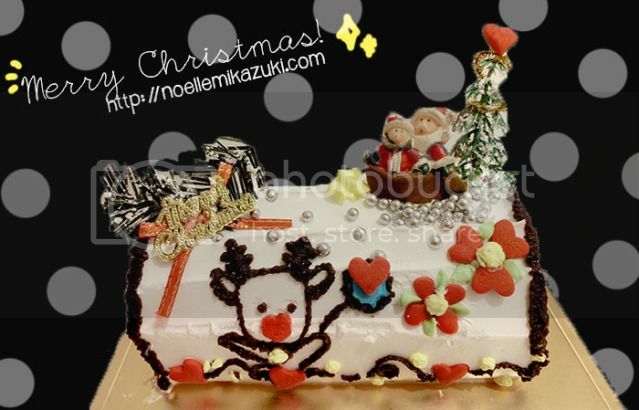 Do vote for my Yule Log here on The Icing Room's Facebook Page! 736 & I decided to dine dessert in as we were pretty hungry after decorating the cake! Feeling tempted and excited about decorating your very own customised Yule Log too?? Each of this Mini Yule Log are priced at only $18.80, incl. the above materials shown in the picture. 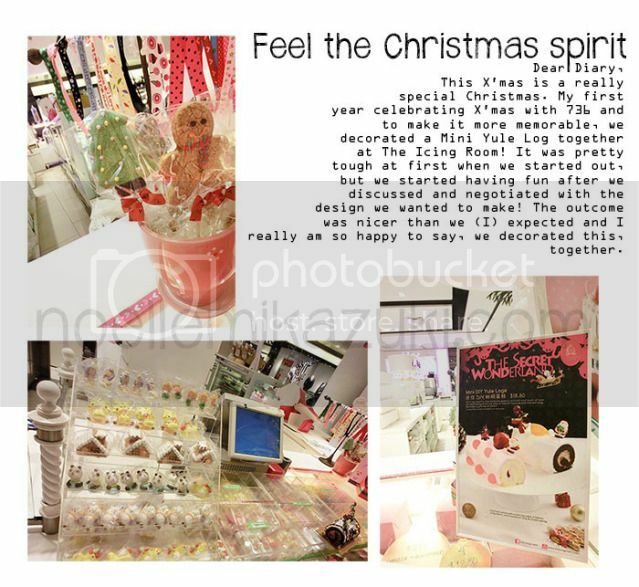 You could also purchase other cute decorations there, many to choose from! 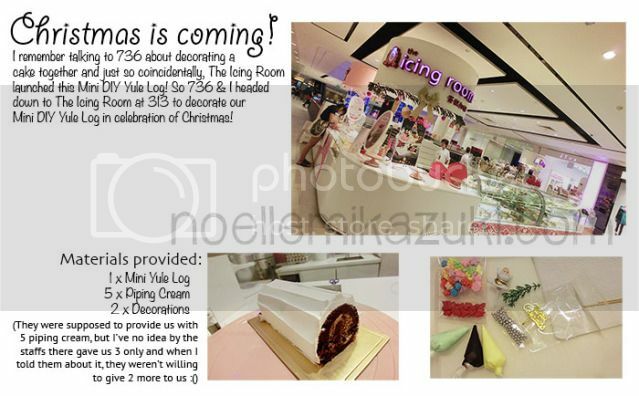 And now, there's a contest held by The Icing Room "Who has the Best DIY Yule Log?"! You'll stand a chance to win attractive prizes like the newly launched iPad Mini!! Or Canon IXUS, Selphy Printer, USS Tickets, RWS Vouchers, Movie Tickets, and many more!! 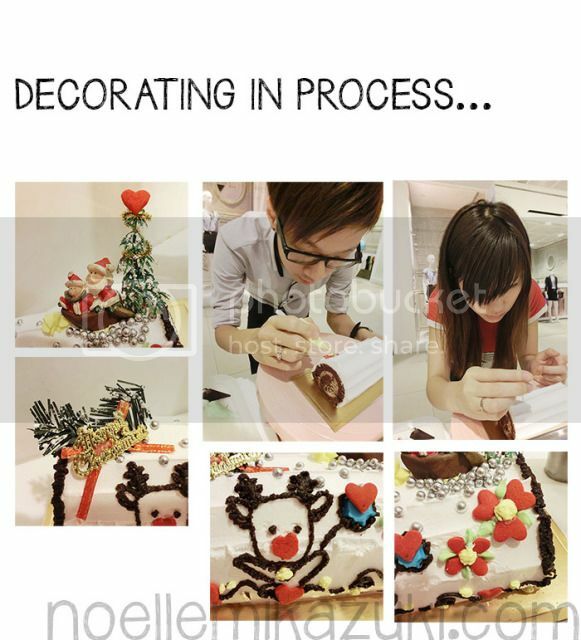 Head down to any of The Icing Room now to decorate your very own DIY Yule Log!